Crypto-Plus™ was formulated by a physician & herbalist as a stand-alone or adjunctive support for vector-related issues. Combining science & technical botanical learnings with a powerful phospholipid delivery system, Crypto-Plus™ provides the practitioner balanced support with optimal absorption and patient response. May be combined with many pharmacological & nutraceutical preparations. The body’s internal terrain is composed of millions of microbes; many have a positive influence on the body while other pathogenic microbes adversely impact and degrade health. Maintaining a robust microbial balance is essential for optimal health. When a patient is facing serious health challenges that are influenced by pathogens, the doctor may prescribe antibiotic therapy. However, prescription anti-microbials are not always tolerated or effective as a single therapy to achieve optimal health recovery. Many doctors find that nutritional support in the form of herbal microbial balancers may potentiate traditional antibiotic therapy. This “layering” strategy often provides the most comprehensive and synergistic outcomes versus a single therapeutic approach. Use the chart below to determine the best tincture for your patient’s needs. What to Expect: Patient reaction to these advanced microbial balancers is similar to what one experiences when starting immune support protocols: some patients experience a “Herxheimer” reaction while others do not. However, a patient who reacts to antibiotics and/or other nutritional protocols should start slowly. Suggested Detox Protocol: As with other immune support protocols, doctors open detoxification pathways and provide binders to move toxins out of the body. 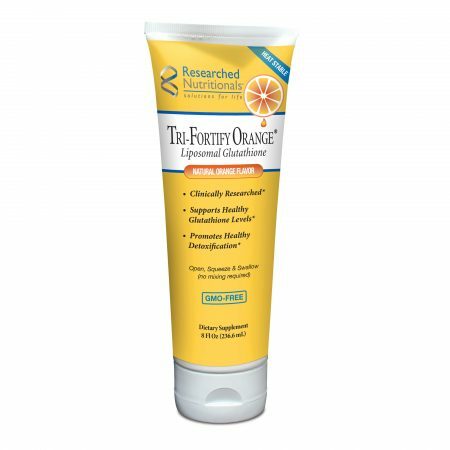 Many doctors incorporate Tri-Fortify™ Orange (1 teaspoon per day) and PectaSol® (three capsules per day) for at least three days prior to commencing and during microbial treatment. Suggested Use: As with any new nutritional supplement, patients should start slowly. For best results, take away from meals and add to 1-3 ounces of water. If patient experiences nausea, have the patient dose the product 15-30 minutes after a light carbohydrate snack. This would take 10-14 days to get to full dose of 40 drops in each the morning and the evening. Another dosing strategy used by many doctors is to have patients work up to a double dose (80 – 90 drops twice per day). Start with Detox Protocol mentioned above plus repeat 30 minutes before taking BLt™ and/or Crypto-Plus™ and/or Myc-P™. Start with 1 drop in 1-3 ounces of water once per day, and slowly increase dose as your body is able to do so..
2 hours after taking BLt™ and/or Crypto-Plus™ and/or Myc-P™, repeat Detox Protocol. Start by dosing every other day; consider having patient swish in mouth and spit out to minimize absorption. Based on reported physician experience, pediatric dosing with children 8 years and older: start at 1-2 drops added to diluted apple or berry juice and work slowly up to 20-30 drops 2x/day over 2-3 weeks. As each person’s body responds uniquely to any nutraceutical/pharmaceutical product, it is important to follow your healthcare professional’s dosing recommendations. Cautions: Lomatium Rash is a rare but bothersome proliferation of raised red spots, not itchy or painful, that usually appears on the torso, and lasts sometimes as long as three weeks after discontinuing use of the herb. It is not immune mediated therefore does not respond to antihistamine or immune suppression such as prednisone. The rash usually only occurs once and does not reappear when lomatium is restarted. When patients slowly work up dose the rash is minimized. BLt™ is formulated to reduce the potential of the rash. Lomatium dissectum contains coumarin derivatives, which may increase the risk of bleeding when taken with drugs that increase the risk of bleeding. Do not use during pregnancy or nursing. 1. How far away from meals best for optimal absorption? 45 minutes before or 2 hours after eating. 2. How should this product be taken if one is also taking other herbal tinctures or homeopathics? If you are taking other herbal tinctures, we recommend taking them in a different cup of water and wait 15 minutes between products. 3. 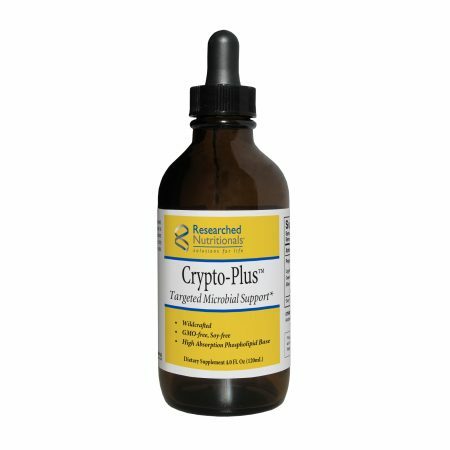 Is it OK to take BLt™ & Crypto-Plus™ & Myc-P™ at the same time? We recommend taking them in separate cups of water, with 15 minutes in between. However, if you are new to the products, it is best to use the first product for at least three days so that your body has time to adjust to it before adding the other product. 4. What type of alcohol is used for extraction of the nutritional constituents and is it gluten-free? We use organic cane alcohol which is gluten-free. 5. Why do you use alcohol as the product base? It is the most efficacious approach to pull the active constituents from the roots of the herbals. It also is easily absorbed into the stomach, bringing the herbal constituents with it during the absorption process. 6. Can I take my antibiotics at the same time as this microbial balancer? Many doctors have patients take them at the same time. If one is concerned, however, one could split them up and take at different times. 7. How many drops are in one half of a dropper? Approximately 40-45 drops. 8. Why is the color of my tincture different from my last bottle and what is the buildup on my dropper? Color variation and sediment is typical of herbal liquid extracts, and in no way compromises the quality of the product. Sediment often collects inside and around the dropper and shaking the bottle prior to use can help release some of the particles. The dark color is from the herbs in each product and can vary in color from a gold to green to a very dark brown or black.